Joe Borunda, 2 years (seems like it's too close on the hells [sic] of Stella, but that's the way he was booked). 3: Stelle, left, and Jose Borunda. All three at old part of county Hospital in Juv. Ward there they keep kids from 1 to 3. 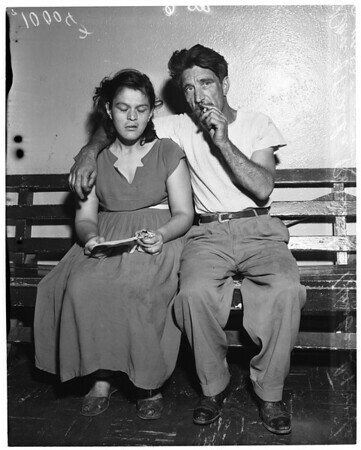 5-6" Dan and Bertha Borunda in Lincoln Heights Jail.